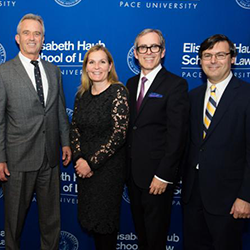 We are proud to announce that Pace Law School has been renamed the Elisabeth Haub School of Law at Pace University in honor of the late German philanthropist and environmental advocate, who has had a long partnership with our law school. See Press Release, below. Pace will become the first law school to be named after an environmentalist, and the second to be named after a woman (after the Sandra Day O’Connor College of Law, Arizona State). 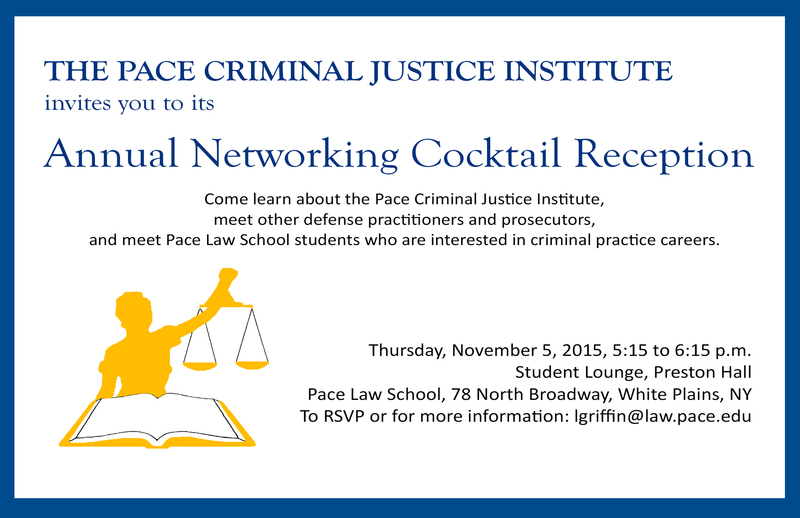 This is wonderful news for the entire Pace community. As for the PCJI, we look forward to expanding our role in ensuring environmental justice. 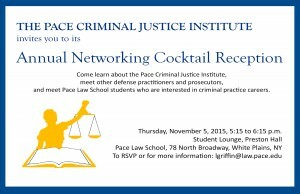 NEW YORK – Pace University announced today that its law school has been renamed the Elisabeth Haub School of Law in recognition of its long-standing partnership with the family of the late Elisabeth Haub, a tireless environmental advocate and philanthropist, and a generous donation from the Haub family. The gift, the largest that Pace University has received in its history, will establish an endowment for the Law School, strengthen the school’s renowned environmental law program and fund innovative teaching initiatives. In addition to providing an endowment, the gift will fund specific initiatives in the school’s Environmental Law program, which is ranked third in the nation: it will create the Haub Scholars program, providing reduced tuition to a select group of the most highly-qualified and promising environmental law students. The program will enable these students to study or attend conferences abroad, ensuring that the Haub Scholars have a truly global experience. The gift also endows a Chair in Environmental Law, a Chair in Public International Law and an annual Visiting Scholar in a related field, in recognition that environmental science, informatics and other technology and other allied fields are now an essential element in formulating environmental policy. The Haub gift comes amid numerous calls for change in legal education. President Obama has suggested that law school be a two-year program instead of the current three-year requirement, and regulators including the American Bar Association and the New York State Court of Appeals have encouraged more apprenticeship training to supplement traditional classroom instruction. The Haub School of Law already offers a Semester-in-Practice option for third-year students, and an accelerated “Spring-Start” program enabling students to graduate in two-and-a-half years. The gift continues Pace University’s longstanding collaboration with the Haub family, building on Elisabeth Haub’s extraordinary legacy of promoting the progress of environmental law, with particular emphasis on activities that impact policy, promote a balanced approach to sustainable growth and reflect the global nature of environmental issues. Haub devoted much of her life to the stewardship of sustainability, forming the first foundation dedicated to establishing laws for nature conservation and environmental protection. Since her death in 1977, Elisabeth Haub’s children and grandchildren have continued her environmental work through the family business – the Tengelmann Group, a German retail holding company – and by founding the Elisabeth Haub Foundations for Environmental Law and Policy. Elisabeth’s daughter-in-law, Helga Haub, shared her vision and continued her work by expanding the Haub Foundations to the United States and Canada. Elisabeth’s son, Erivan Haub, embraced his mother’s commitment to the environment in the family business, establishing sustainable management practices within Tengelmann long before corporate social responsibility became a professional standard. Liliane Haub, the third generation of the Haub family to focus on sustainability, has now assumed responsibility for continuing her mother-in-law’s work and has been instrumental in deepening the family’s relationship with Pace Law. In 1997, Pace University and the International Council of Environmental Law, in collaboration with the Haub family, created the Elisabeth Haub Award for Environment Diplomacy. Given annually, the prestigious award recognizes the innovation, skill and accomplishments of diplomats, international civil servants and other negotiators who work to shape the world environmental order. 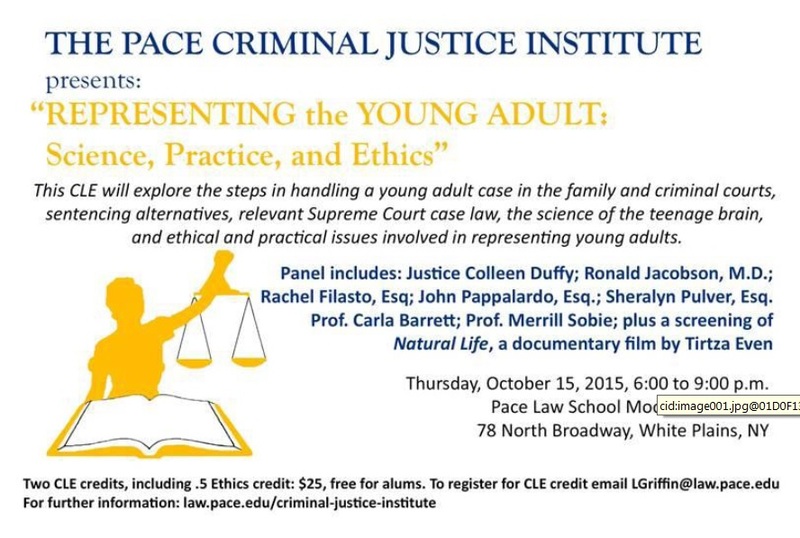 The Elisabeth Haub School of Law, the law school at Pace University, offers J.D. and Masters of Law degrees in both Environmental and International Law, as well as a series of joint degree programs including a Doctor of Juridical Science (SJD) in Environmental Law. The school, housed on the University’s campus in White Plains, NY, opened its doors in 1976 and has over 9,000 alumni around the world. The Haub School is led by Dean David Yassky, who has served in a variety of public, political, academic and private sector positions over a legal career that spans four decades. The school maintains a unique philosophy and approach to legal education that strikes an important balance between practice and theory. Since 1906, Pace University has produced thinking professionals by providing high-quality education for the professions with a firm base in liberal learning amid the advantages of the New York Metropolitan Area. A private university, Pace has campuses in New York City and Westchester County, enrolling almost 13,000 students in bachelor’s, master’s, and doctoral programs in its College of Health Professions, Dyson College of Arts and Sciences, Lubin School of Business, School of Education, Elisabeth Haub School of Law and Seidenberg School of Computer Science and Information Systems.